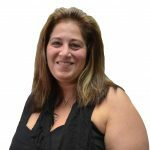 Cindy Greco serves as the Vice President and heads the Business Insurance Department at Greenwich Independent Insurance. When Cindy started working at the agency, she was still in college. She is a graduate of Manhattanville College where she majored in business. She uses her expertise learned in school in all aspects of her work at the agency. Upon her graduation more than 20 years ago, she became an important part of the agency and has remained as such since then. 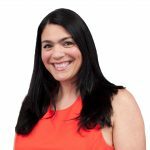 Cindy is a lifelong resident of Cos Cob, CT where she currently lives with her husband and two daughters. When Cindy is not at the office, she is passionate about family, both in Greenwich and Italy, and she enjoys spending time with her daughters attending cultural events. She enjoys singing and traveling when she is not on the sidelines cheering for her daughters at their gymnastics performances. Cindy is a calming voice and effective leader to everyone at the agency and her clients effortlessly become longtime friends in addition to being business associates.